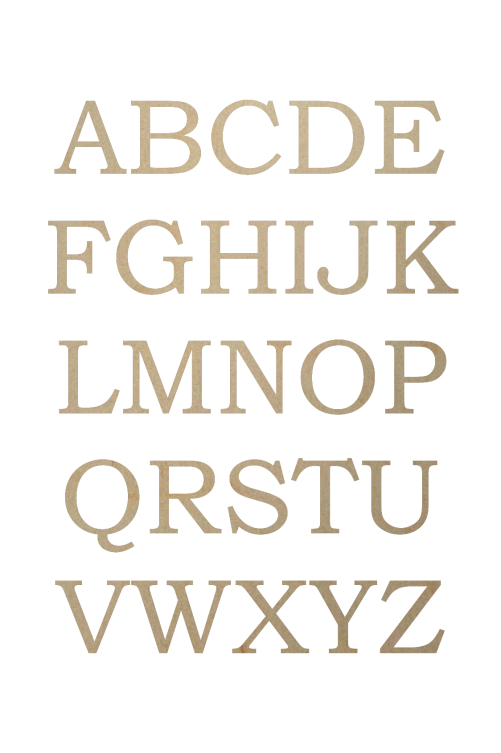 Wooden letters are sized by the tallest letter you order for a word or name. Wooden letters are perfect for making indoor signs or craft projects. Using high quality baltic birch plywood, we craft each letter to your specifications. This allows you to have what you need, not just what we offer. No matter how big or small you project is, we are ready to help you. We have helped thousands of other crafters, businesses and churches over the years accomplish their project. 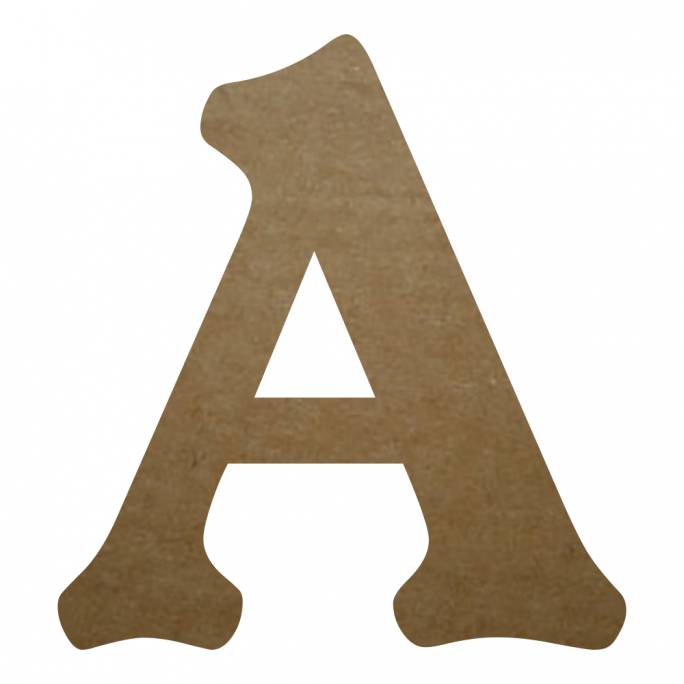 We offer a wide range of thicknesses of our wooden letters along with a variety of styles. We can even custom make you logo and letters from a file or even a drawing. Custom made is what we do day in and day out. If you are needing small letters or large letters, we can help with that. 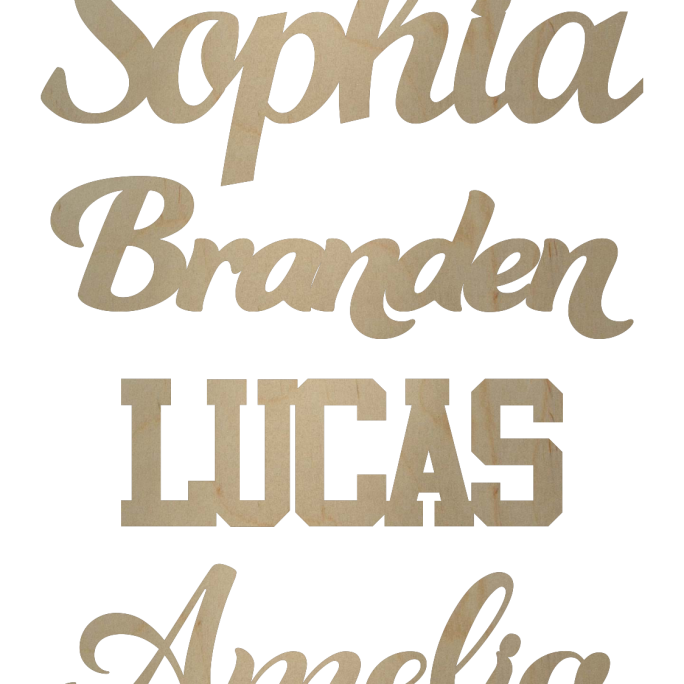 We offer 1/8″ thick material in letters that range from 1″ to 14″ that is laser cut.The laser cut edge is darker from the cutting process and is easily painted over. 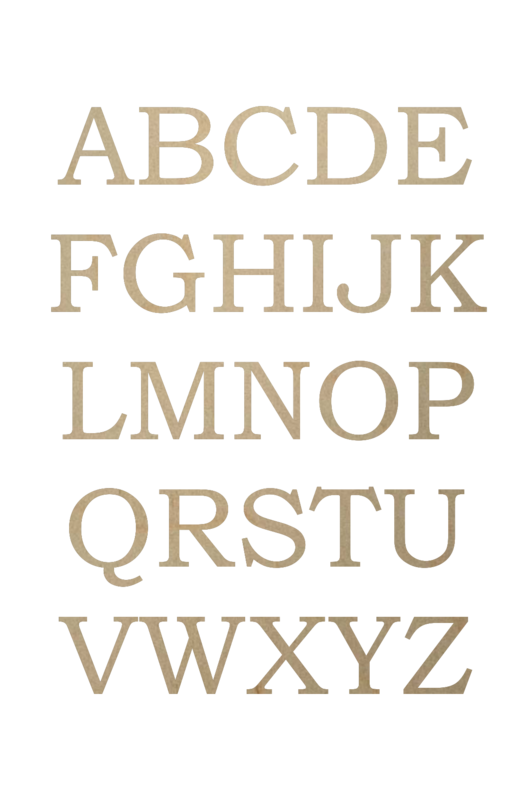 The darker edge can also be perfect for a rustic letter look in a western theme project. Our other thicknesses are cut on a specialized cutting machine that leaves a natural edge. While we sand the letters, they may need some additional sanding before finishing.